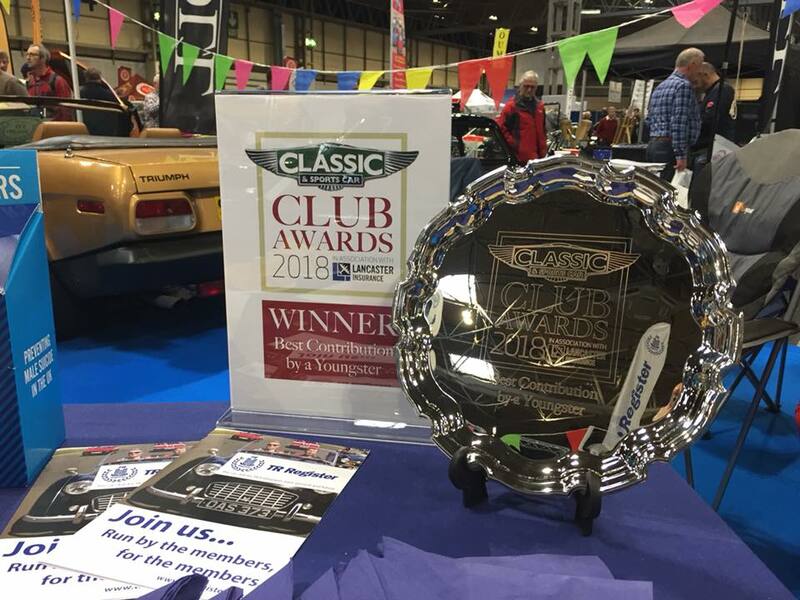 TR Register Youth Group wins at the Classic and Sportscar Awards. The winners of the 2018 Classic & Sports Car Club Awards, held in association with Lancaster Insurance, were revealed at a memorable ceremony at the Hilton Metropole, Birmingham. The judges opened the evening by explaining that there had been an unprecedented number of nominations this year and the judging had been tough. The awards were presented by Editor at Large for Classic and Sportscar Magazine, Simon Taylor. 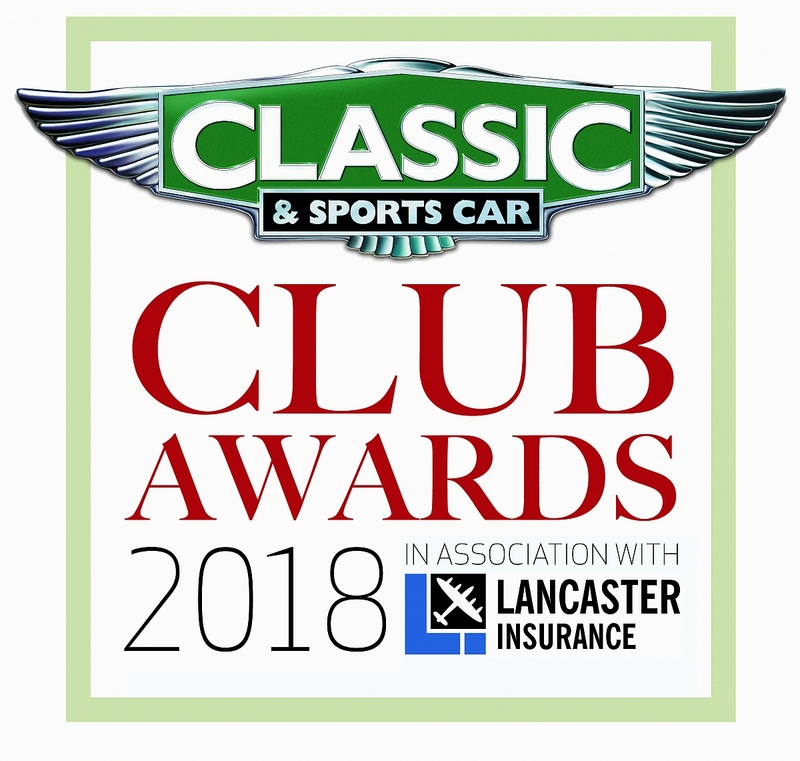 Alastair Clements, Editor in Chief of Classic & Sports Car, said: "Our judging panel was blown away by the volume and quality of nominations this year. The overall impression was just how passionate, supportive and welcoming the entire classic car world is. We've learnt about labour-of-love restorations, incredible charity drives, youthful exuberance and an especially poignant rally marking the centenary of World War I. These extraordinary groups are the people who shape the classic car community. 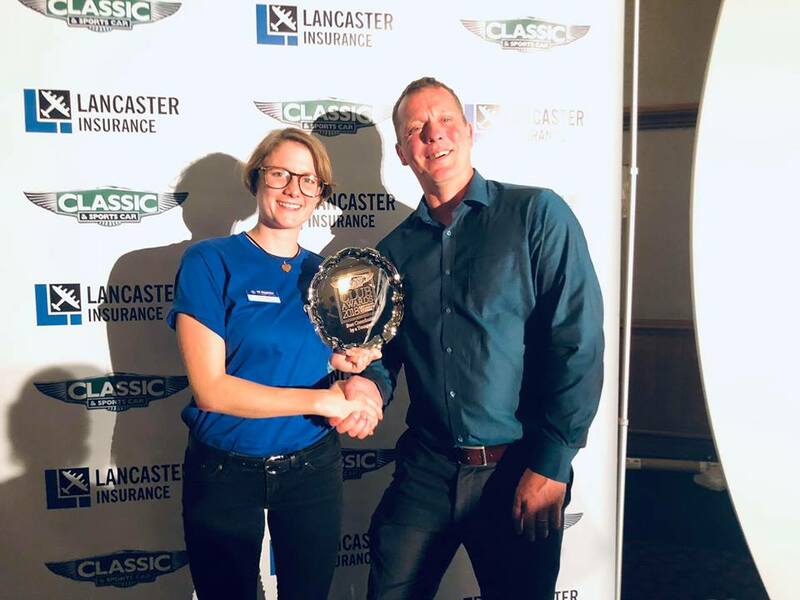 Moreover, the submissions also brought home what a bright future there is for classic motoring, and we would like to congratulate all of our 2018 winners on their fantastic efforts over the past year." Katrina Forey wins award for "Best Contribution by a Youngster" to the classic car club scene. The TR Register was singled out for particular praise as runner up for magazine of the year to the winners from the 1100 club for their superb publication entitled 'Idle Chatter'. Simon Goldsworthy from Triumph World and all the member clubs of the Standard Triumph Forum within which the TR Register is a significant contributor, were praised for the fantastic Standard Triumph timeline display as runner up to Best Medium Sized Club Display. The collaborative display, spearheaded by the Triumph World magazine editor, featured the club's very own TS2 alongside models representing every era of the Triumph and Standard story. 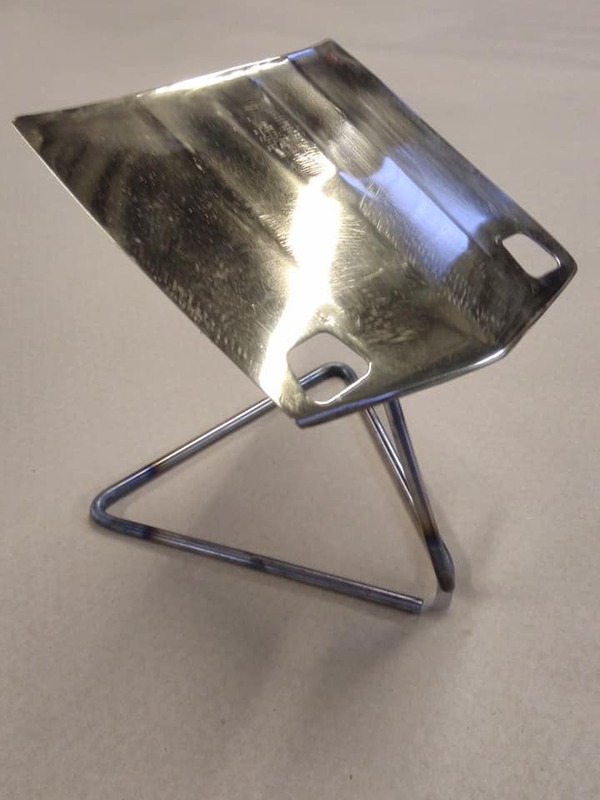 It was the TR Register's Youth group that came away with the silverware from the prestigious awards when their group leader, Katrina Forey was presented with the 2018 Award for Best Contribution by a Youngster. At the presentation, the awards cited her boundless enthusiasm for all things TR, as well as her great work arranging events and weekends away for the Youth group that were "very evidently creating lifelong memories and friendships for those in the group". The TR Register Youth group has seen a significant influx of new faces during Kat Forey's leadership and their superb display at the event was a testament to that enthusiasm and hard work. The club has recently supported her efforts with the introduction of a new tier of membership for under 30s which has already proved popular at reducing costs of membership for younger joiners. Set up evening, most dashed over after work! 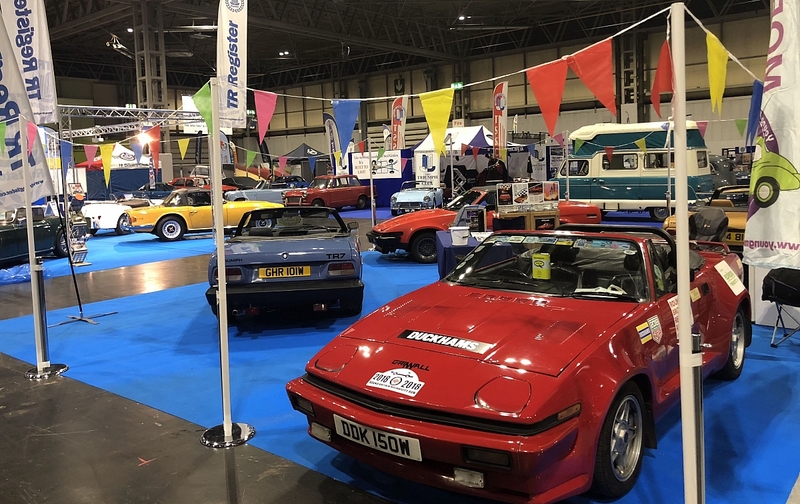 The TR Register Youth Group's stand featured an all wedge line up with the TR7 DHC of Charlie Crawshaw, 4.6 litre TR7 V8 of Andy Gardner, Grinnall TR7 V8 of the group's founder Wayne Scott and the stunning gold convertible of Tom King. Tom only bought his car this Autumn and this was the longest trip he had undertaken in his new TR to date. 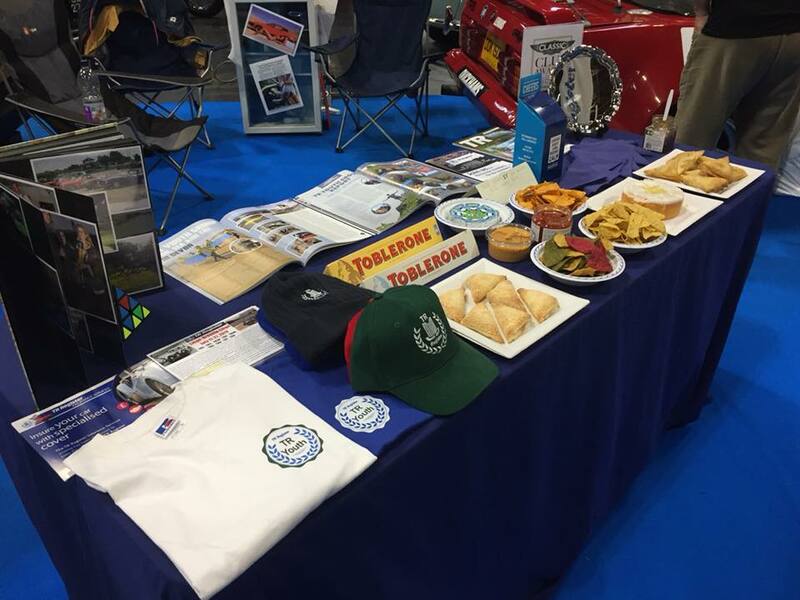 As well as wedge shaped TRs, there were plates of triangular treats from Toblerone and Samosa's to cheeses, TR7 cake and Dorito's in keeping with the theme. They also launched their new line of regalia with the TR Youth logo, now available from the TR Register shop. The centre piece however was the "beat the buzzer" game that was made out of the shape of a TR7. The game's main aim was to raise money for mental health charity CALM in aid of a close friend of the group, Sam Twigg who lost his life to depression this summer. 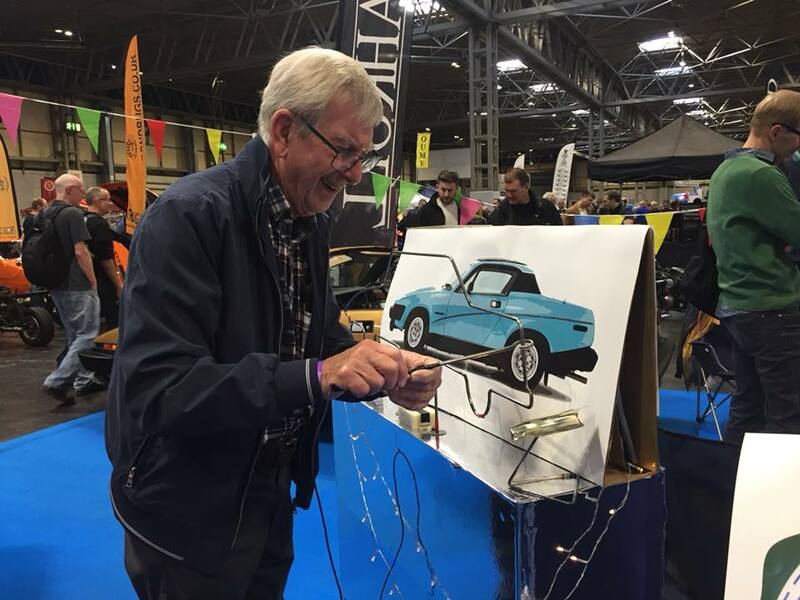 The game attracted a number of celebrity participants looking to test their nerves and steady hand to beat the TR7 shape and claim the TR7 bonnet trophy as their prize. 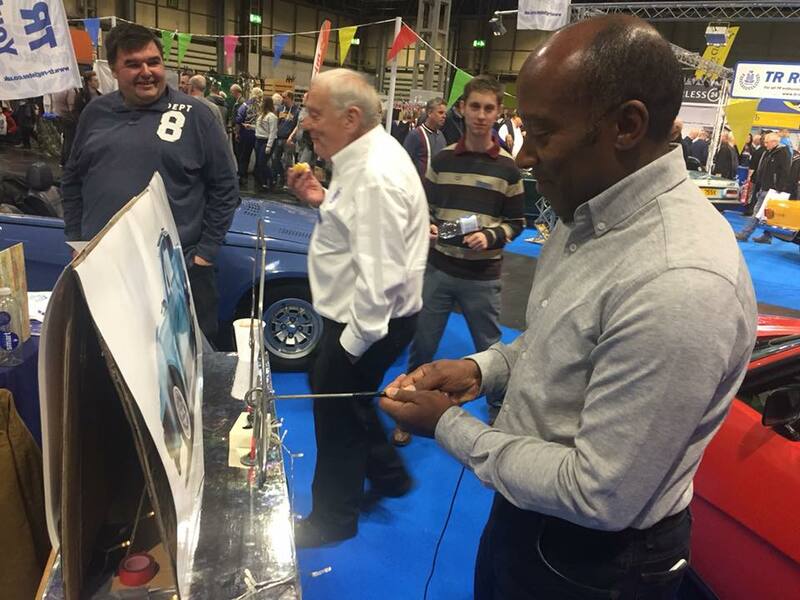 The Youth group thought they had reached the pinnacle of celebrities when Anthony Hamilton, father of British F1 world champion Lewis Hamilton and TR Register member took part. 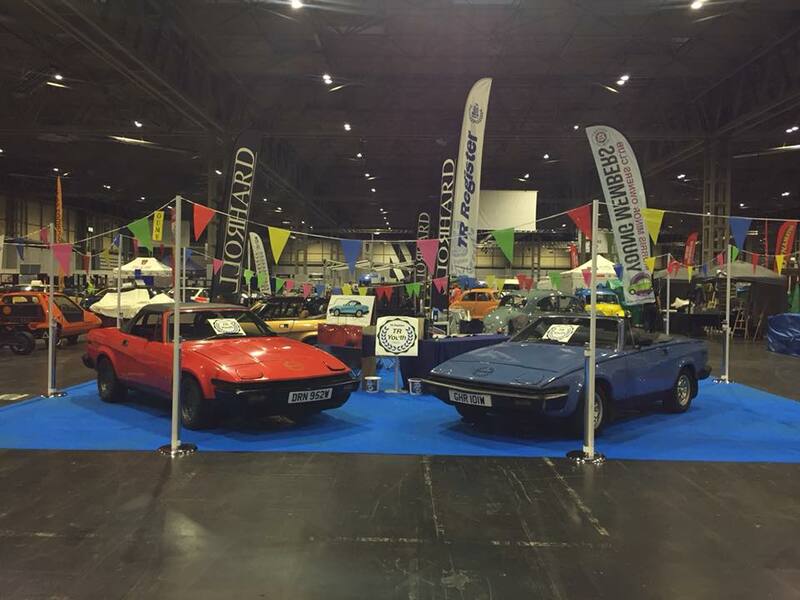 However, the A – list line up was completed when the designer of the TR7 himself, Harris Mann gave it a go. We are sure he certainly never imagined to be doing that when he penned the TR7 design in the early 1970s! The TR Register Youth Group attracted even more new members of the course of the show and you can keep in touch with the group via the Facebook pages. 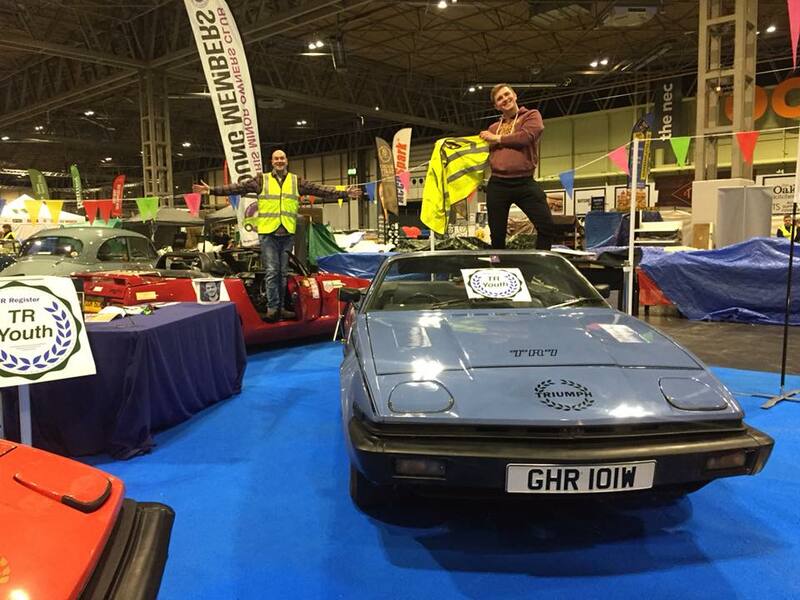 A full report of the TR Register's activities at the NEC Classic Motor Show will appear in TR Action 310. The coveted trophy for completing the beat the buzzer game! This was hand- made by Youth member Jon Dumelow especially for the show.